This item (U72799) is not currently available for purchase. Create dramatic decorations with a two toned LED Moravian star kit that includes a white star and an extra 12 pack of blue spires. Add 8, 10, or 12 blue spires to make a colorful decoration. A 60 inch lead wire lets you hang these brilliant stars almost anywhere indoors or outdoors. With long lasting LED bulbs, these stars will glow brightly for many seasons. 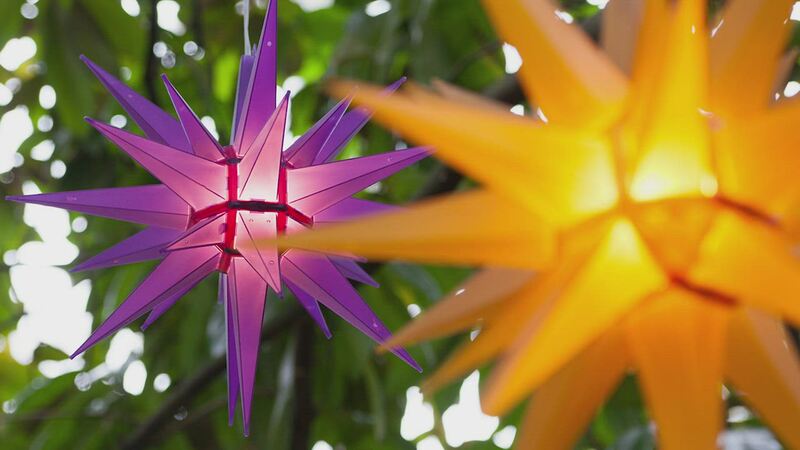 Hang them from trees, porches, railings and more for unique and colorful lighting!